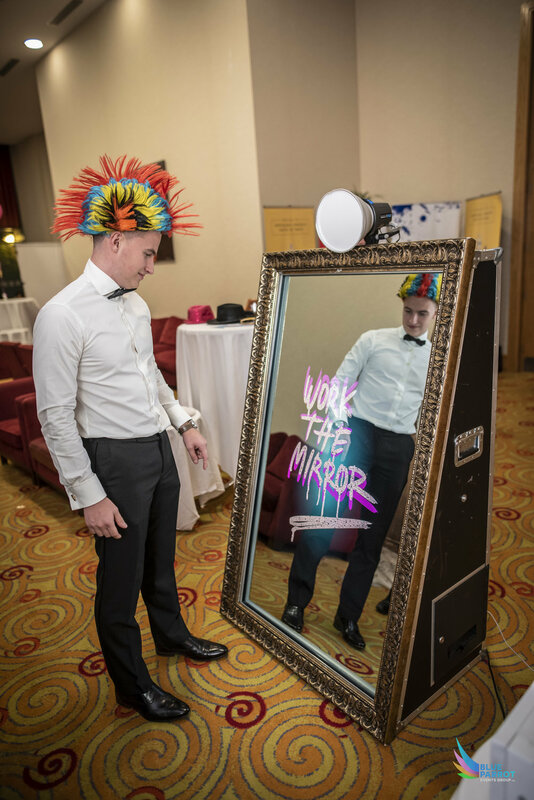 Our Magic Mirror Photo Booths are a great addition to any party or event. With a large touch screen, guests can feel immersed in the action, seeing themselves on the big screen and striking their best pose! From personalised templates, to completely customised workflows, we can create the photo booth experience of your dreams. Ensuring sure that you, and your guests, have a memorable experience and capture some special memories for you to cherish. Don’t forget to enquire about our amazing Social Media Sharing Station for your Mirror Me Photo Booth! With instant uploads of your favourite images to Facebook, Twitter, Instagram and more, you will be able to show your friends and family your amazing photos straight from the event!